Centerstone has announced a new clinic that will bring treatment services to many whose lives have been devastated by opiate addiction. A new Medication Assisted Treatment (MAT) facility will officially open in Marion. The new facility will offer a range of services including assessment, counseling, case management, peer support and medical services. It is the first of its kind in Southern Illinois. “Recovery is the personal and unique way that a person changes attitudes, feelings, goals, skills or roles to overcome addiction and live a hopeful, productive life,” said Mona Miller, MSW, MAT Coordinator for Centerstone. Centerstone is also the lead in an innovative “Hub and Spoke” model funded through an Opioid State Targeted Response grant from SAMHSA to the Illinois Department of Human Services. The model encourages linkages between treatment providers who share resources, training and expertise to meet the needs of clients across several Southern Illinois counties. Partners in the endeavor include Egyptian Health Department, Gateway Foundation, the Saline County Mental Health Department and Shawnee Health Care as Spoke sites and recruitment is ongoing for additional Spoke sites. 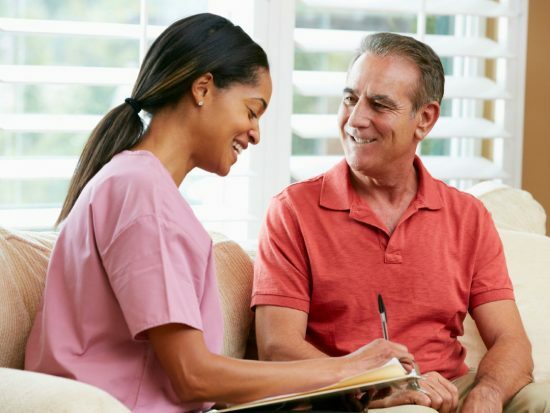 Hub and Spoke sites work in unison to ensure clients receive the proper care based upon the needed level of care and geographic client location. Regular team meetings of the Hub and Spoke staff develop partnerships and knowledge that will extend far beyond the grant term. The MAT clinic and the Hub and Spoke project use safeguards to ensure client safety. These include use of the Illinois prescription drug monitoring program to prevent poly-pharmacy, diversion and ultimately overdose; medical withdrawal from services for clients with poly-pharmacy or referral to a higher level of care; diversion prevention strategies; observed dosing; and random drug testing. The Centerstone Hub and Spoke project was funded in full or in part through an Opioid-State Targeted Response (STR) Grant to the Illinois Department of Human Services, Division of Substance Use Prevention and Recovery, from the U.S. Department of Health and Human Services, Substance Abuse and Mental Health Services Administration.